This month we’ve seen Mogwai defy gravity, Mac DeMarco chill with the grim reaper, Radiohead feel unsettled, and Yves Tumor get buried alive. All are worthy of your time, even if they haven’t quite made the top cut of our month’s picks. Here, we’ve selected five of the month’s best for our round-up, with a mixture of glossy, high-concept visuals and inventive ideas executed on zero budgets. Human meme and restless product hawker DJ Khaled dropped “Wild Thoughts” earlier this month. It’s a summer anthem in the making, sampling Carlos Santana’s 1999 song “Maria Maria” and boasting a top notch guest spot from Rihanna. 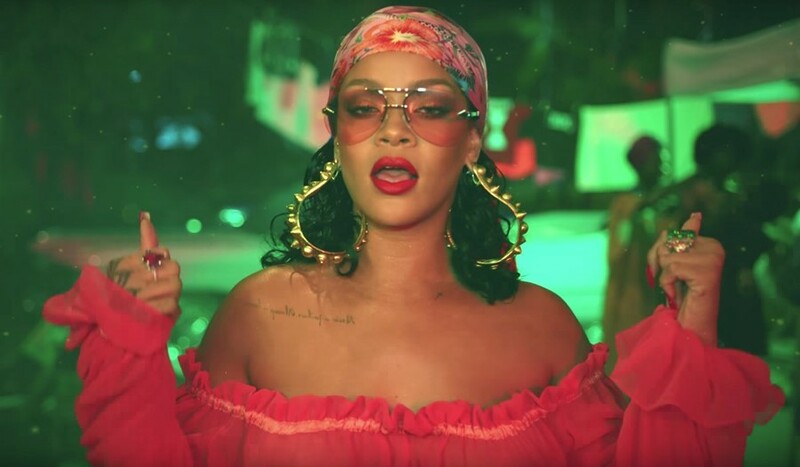 Its Collin Tilley-helmed video is essentially just an excuse to show off a bunch of different looks from Rihanna as she swaggers through the streets and alleys of Miami, gold on her wrists and dangling on her ears. SZA’s simple and artistically-shot video for “Drew Barrymore” is a lush and dreamy jaunt across New York City set to the changing seasons of the year. It’s gorgeous, but that’s not the only reason it’s been turning heads: the clip, directed by Dave Meyers (who most recently shot Kendrick Lamar’s “HUMBLE.”), boasts a very brief cameo from the actual Drew Barrymore, SZA’s favourite actress. The wheels for this collaboration may have started back in January, when SZA shared a video of Barrymore watching her perform the song on Jimmy Kimmel.